What does it take to be a super brand in the world of high street fashion? If selling in over a hundred countries, clocking an annual turnover of approximately £400 million with pre-tax profits of over £ 50 million and being worn by A-list celebrities like David Beckham, Leonardo Di Caprio, Kate Winslet, Zac Efron and even Pippa Middleton is all it takes, then it is imperative we call Superdry, the British fashion label founded in 2004 a super brand. In today’s post, we profile Superdry, the British brand described famously as “vintage Americana meets Japanese graphics meets British fits” and track its rise to being one of the world’s youngest and trendiest fashion super brands. Origin: The story behind the origin of Superdry is a very fascinating one as it explains to a large extent the design philosophy behind their brightly colored clothes and accessories. Many people who look at Superdry’s range automatically assume that the brand is of Japanese origin. The Japanese script visible on almost all their designs and even on the logo may be the reason for this confusion, but the brand’s tagline, “British Design. Spirit of Japan.” is the shining light here as it clearly points out that the brand is embellished with only the “spirit” of Japan. In fact, most of the Japanese characters and words used are used inaccurately and seem to be translated with the help of a dictionary rather than by someone who actually speaks Japanese. The real story behind the label is that it was conceived in 2003 by designer James Holder (founder of skatewear brand Bench) and Julian Dunkerton (founder of university fashion brand CULT clothing) on an inspirational trip to Japan, where they merged Julian’s fascination for vintage Americana with James’ love for Japanese style graphics and tailored fits. The first design they came up with was the vintage OSAKA 6 T-shirt which is still in production 10 years later and has been their most iconic product till date. They then founded Superdry as a label with Theo Karpathios in 2004 (who headed the international and wholesale division until 2012 when he decided to quit). The Rise: Superdry started out humbly as a brand retailing mostly through multi brand outlets and through CULT stores in university towns everywhere. 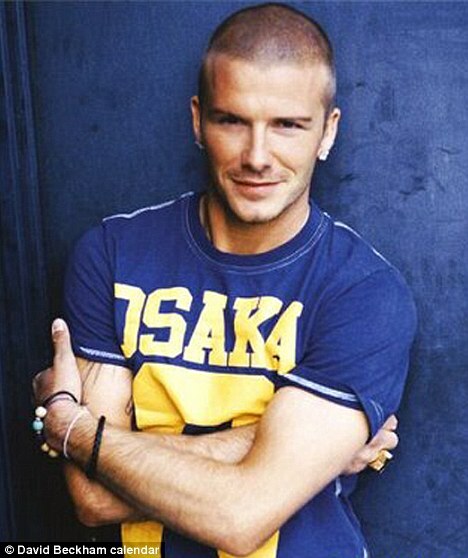 The brand was slowly gaining popularity amongst students and urban hipsters until the moment came that changed Superdry’s fortune- David Beckham wore it in his annual calendar. David, who was at the pinnacle of his footballing career then, was one of the most influential fashion celebrities at the time and he wore the fledgling label in three different pictures from the same calendar. This endorsement was soon followed up by celebrity sightings everywhere. In Malcolm Gladwell’s words, the tipping point was reached and Superdry started trending. University students everywhere were wearing Superdry and talking about it on campuses. Superdry took themselves way more seriously as well, creating stores which won several design awards for recreating the grungy, greasy, earthen chic mood that so well represents the brand. Superdry’s marketing also pushed the brand into college towns by offering special discounts to college students and hosting exclusive student nights with live DJ’s and goodie packs for student shoppers. Their marketing concentrated on tie-ups and support for young and upcoming music artists and a very interesting design collaboration with Morgan, the British vintage car company to produce a limited range of “Superdry Morgans”- A classic Morgan three wheeler with Japanese style graphics and design in the Superdry way. These innovative marketing methods coupled with an effective social media and PR campaign led to an unmistakable buzz surrounding the brand and demand grew exponentially. As demand grew, Superdry expanded quickly, both within the UK and internationally until bravely, they decided to file an IPO in 2010 after only 5 years in existence with 55 stores in the UK and 53 more internationally. To their own surprise, the IPO was well received and their stock was trading at £ 18 per share within a year of being offered for 500 pence per share. 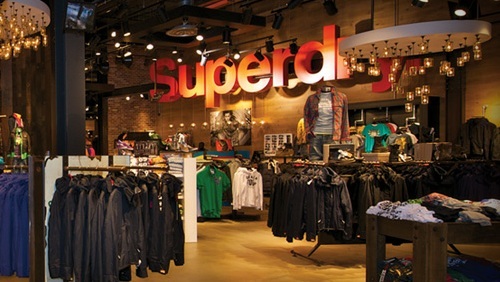 This accelerated Superdry’s growth story and by 2012, Superdry was available in more than 400 exclusive stores worldwide. 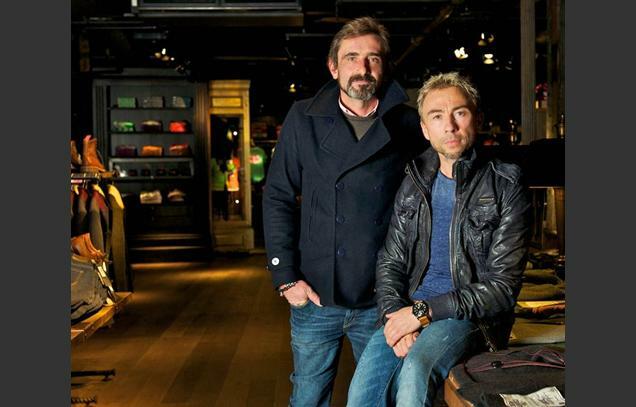 In fact, store of Julian Dunkerton’s CULT brand have also become Superdry stores. The Customer: Superdry’s evolution into a global fashion super brand within 10 years of launch points to the arrival of a new kind of customer: One willing to experiment with abstract concepts and brave ideas and also willing to pay a premium for it. These are customers who have been described by experts as the “New Luxury Millenials” and they are instrumental in Superdry’s growth story, as also other new age brands like ASOS and Zara. These NLMs are the customers driving market trends today and the brands of the future must take a cue from Superdry’s experience in tapping this segment. A few months ago, during a CREAM (Certificate in Rural Enterprise Administration and Management) training session for micro-entrepreneurs in rural Bihar, we enquired about the professions of each. Turned out that each of the three women taking the course aced at multi-tasking ; apart from managing the house, each held down two other occupations. My first reaction was amazement at the amount of work that they packed into their day, but later I was struck by the fact that two out of these three women ran beauty parlours (or as they pronounced it, ‘saaluns’) out of their homes. We asked these ladies which treatments their customers went in for and it was more than just hair-cuts – facial, eye-brow threading etc. In villages in Bihar ! So beauty consciousness is increasing not just in urban India, but in rural India too. Wonder which are the companies benefiting from this trend ? and whether they are using these ladies who run beauty parlours from their homes as influencers ? We’ll try to dig deeper into this topic with time, so keep visiting this blog for more information on the topic. Is your social media presence working for your brand? Jio – An Audacious Gamble or Bold Game-Changer ?